We’ve all got our own story of how we came to love jazz music and specifically jazz guitar, maybe some of you came to it recently or some of you were lucky enough to have been exposed to it at a younger age. For me I was lucky enough when I was 15 to be leant an album on cassette called “The Jazz Guitar Album” and it all started there for me. As a teenager in my bedroom playing guitar, listening to The Beatles and Jimi Hendrix the jazz guitar tape give me lots of questions but sadly not very many answers -’what on earth were they playing! ?’ Although I didn’t *dislike* it, I didn’t really know what to make of it either. The names on the tape sounded very exotic like the music within – Oscar Moore, Django Reinhardt, Bola Sete, Herb Ellis etc. Talk about a shot in the arm to start with! A great Parker bop track taken with incredible energy and an all round great group performance. I love the solo he takes on this; a less natural intuitive guitarist may have gone for another take to try and get it ‘perfect’ but you’d never get close to this again. For such a great natural guitarist it’s interesting to note that he’s remembered more for his involvement with education. Cool. Very cool. This track sounds like it might be a straight forward blues but then shows it’s hand with some slinky harmony over the B section. What a sound Kenny gets, I’m not sure anyone got a sound like him in jazz/blues. If you talk to any guitarist about close harmony jazz guitar they will no doubt (and quite rightly) talk about Johnny Smith BUT one of the greatest exponents was Billy Bauer. One of the (almost) forgotten greats of jazz guitar, please do search out this track as it’s such a great performance and if anyone has time to transcribe it then drop me a line! Ah Dizzy Gillespie, one of my obsessions from a few years ago (and the name of my cat). This tune is not one that many modern jazzers have played (Bill Evans did as well as Diz) and I’m not sure why as it’s a great tune with some great movement in the chords in the B section to play off. Not content with being a great guitarist Les Spann was a flute player of great skill too. One of the founding forefathers of the modern jazz guitar movement. Still can’t fathom how he imagined and played all that great music before passing away too young at only 25 years old- just think about that! Two more masters of jazz guitar. Such great taste and tone; performances like these makes you realise why they were such legends. This really stuck out in amongst the other tracks on this album and it’s such a sparse arrangement compared to a lot of the others just featuring Bill Evans and Jim. A lovely melody and one that sticks with you and makes you realise that sometimes less is more. Bola was discovered by Dizzy Gillespie and went on to carve out a great career which blended together Samba and Jazz in a creative and energetic way, miles apart from the Bossa Nova movement. In recent years having seen his performances on Youtube I can say that he was the happiest guitarist in the world, so infectious! To my ears at the time this tune sounded a little odder compared to the others, less chord movement but more rhythm and percussion in the guitar playing. What a master! I could write an essay on Grant Green (maybe I will one day) and how he influenced my playing. I go through Grant Green obsessional phases every so often but I have to say that this isn’t in my favourites list. It’s not a bad performance (except maybe the slightly out of tune flute) but there’s lots more to celebrate in the Grant Green back catalogue. Another stunning performance and one which I transcribed a few years ago. Tal really played unlike anyone else mainly because of his physical attributes; he had big hands and dwarfed any guitar he played and made big interval leaps easy and therefore they just became part of his jazz language. Everyone else was blown away including a young George Benson who has cited Tal amongst others as a big influence. Very stylish track with the ever smooth tones of Stan Getz. Great chord movement in this self penned tune, deserves to be played more. His signature tune this time performed with a big band, some lovely artificial harmonics in the solo. I’ve listened to so much GB in my life and this track was a great introduction to start searching out his work. Worth noting the great young Herbie Hancock on this track. Not a lot can be said of Wes that hasn’t been said already. Every note of this is carved into our heads, what a great solo! It turns out that this was a fairly rare track. All the amazing trademark chord work is present and correct, I literally couldn’t work out (and still can’t) how this was at all possible! Oscar Moore was one of the important early exponents of modern jazz guitar and Jimmy Raney was one of the bebop masters. I’m glad these tracks were on the album as I looked further into their playing in later years and found much to listen to. Early on I got the Byrd/Getz albums and they are essential listening to students of jazz, such great playing and compositions. Now this one really foxed me as there seemed to be some clever odd time signature stuff happening in this track and it had a great raw sound to it. It spurred me onto discover probably one of the most influential musicians I’ve ever heard. Not traditional jazz guitar, something very new and exciting was happening here..
A year or so after that there was an offer in the Sunday paper where you had to collect some tokens to receive a free CD. There were 4 in the collection (Saxes, Groups, Piano and Guitar) and I managed to get all of them mainly because I was still intrigued and I recognised a couple of names of the players. There was no looking back now and the other CD’s in the collection started to broaden my appreciation especially for Sonny Rollins and John Coltrane. 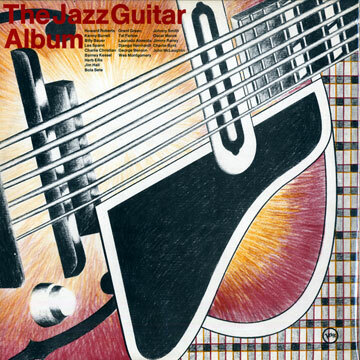 Joe Pass’ tune on this album was the first time I’d heard anyone deal with jazz on a guitar as a solo instrument. I loved that tune so much I tried to learn it from the album and although I thought I had it down pretty much perfect, time and wisdom showed me otherwise. Oh well I was never going to be a solo jazz guitarist! Do search out these artist and tunes if they are unfamiliar to you and hopefully they will inspire you like they did (and do) to me. Make sure you do; ones to watch! I started off listening to John Williams and the Beatles very early on, that led me to Hendrix, Jeff Beck, Zepplin and Cream. My first big jazz influences however were Pat Metheny, Wes Montgomery and Joe Pass. Metheny’s Question and Answer and Miles Davis’s In a Silent Way are the records that gave me the jazz bug. I still remember exactly how I felt when I first heard Roy Haynes’ intro to the first tune ‘Solar’. I also have a special place for Oasis, Noel Gallagher is an incredible songwriter and guitarist, an uncommon influence I know but I guess it had to happen sometime! I’m really excited to be starting a monthly residency in April with Kevin Glasgow and Laurie Lowe. We’ll record an album this summer. I’m hoping to do some more gigs with Peter Ind this year as its always a blast playing with him and to tour my own group later in the year. Fingers crossed i’ll also be working again with Melody Gardot at some point too. I play a Gibson cs356 and I’m pretty happy with it at the moment, she’s temperamental with the weather so a desert island might put her out of shape. If i had a choice between anything built by Gary Mortoro or Linda Manzer i’d be one happy guy. Its a tie between Metheny at the Royal Albert Hall, Speaking of Now Tour or Metheny at Hammersmith Apollo for the Way Up Tour. He played really raw at the Albert Hall, really going for it, but I remember literally not being able to speak after seeing him at the Way Up show however, so maybe that one! James Muller, Julian Lage, Joe Cohn, Greg Duncan, Nir Felder, Chris Thile (mandolin player but he’s awesome) and Jakob Bro to name a few. Alex Machacek & Bryan Baker are doing some really interesting things in the fusion area. For classical guitar, Su Meng and Roberto Aussel, they both sound absolutely incredible. As far as older guitarists, I recently came across a guitarist who (I think) is still alive called Bill Jennings who plays on alot of Jack McDuff albums whos great. Also George Van Eps, Ed Bickert, Tiny Grimes, Tony Rice and Billy Bauer are all awesome. Ant Law is worth checking out here in London, he’s writing some really interesting music. I really wish Stuart Hall, Steve Topping and Paul Stacey would play more in London too because they are ridiculously good players and I’d go to every show!